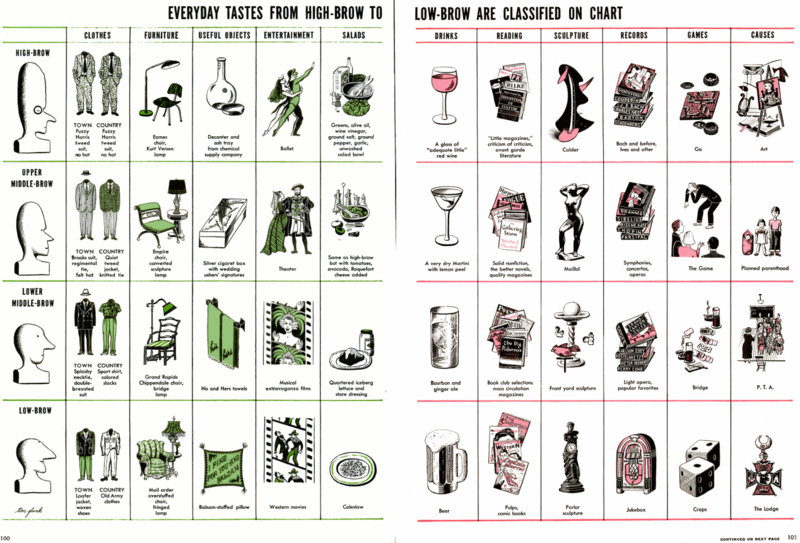 Everyday Tastes: Are You High-Brow or Low-Brow? My blog/Twitter friend, Kitty, sent me a link to this awesome chart, which begged to be posted immediately. The real question is, where you do fall on The Brow? I’m somewhere between high and upper middle-brow. I do like a well-made dry martini with a lemon peel (upper middle-brow) and I actually own a decanter from a chemical supply company (high-brow). Everyone has a story about their introduction to the music of Carole King, Joni Mitchell and Carly Simon, the music that not only defined a generation of women, but also the generations that came after. Our mothers played their records, revisiting their youth and taking a moment to view things from Both Sides, Now; tearing up when they talked about Joni Mitchell’s lyrics, humming “Natural Women” around the house or “Love of My Life” as they rocked us to sleep at night. My stories parallel those of many others my age. Carole King‘s voice had always felt familiar to me. I don’t recall the first time I heard her music or how I learned all of the lyrics to her Tapestry album, it simply feels intertwined with my molecules. Carly Simon‘s music and lyrics spilled into my ears through the movie soundtracks of the 80’s-90’s. Joni Mitchell‘s music came to me via a college dorm mate during our first week of freshman year. I heard “I could drink a case of you and still be on my feet …” Joni’s voice was unlike any other I had ever heard. I don’t recall my dorm mate’s name, but I never forget Joni Mitchell’s. She became the soundtrack to four years of college. I knew these women’s histories through their music, but I didn’t know about the lives they lived behind the music until I took a Women in Rock class in college. We started with Billie Holiday, The Boswell Sisters, and Ella Fitzgerald, and worked our way to The Shirelles, The Chantels, The Ronettes, and Carole King, Joni Mitchell & Carly Simon. The history of these musicians and their personal lives was fascinating. Every time I entered that classroom I felt excited and alive, as if the history of women in rock was unfolding right before my eyes. That feeling was reawakened twice recently. 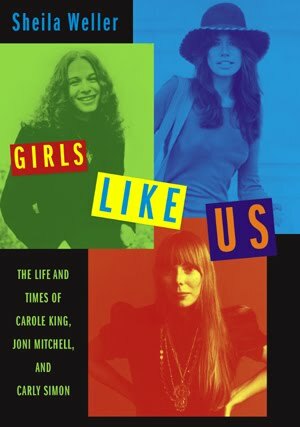 First, when I read Sheila Weller’s “Girls Like Us” a definitive, beautifully written and meticulously researched account of the lives of Carole, Joni and Carly. And again this past Monday, when I went over to the Merkin Concert Hall, where Weller’s book was turned into a performance of Mitchell, King and Simon’s music by five Broadway singers: Liz Callaway (who also narrated the event), Ann Hampton Callaway, Jessica Molaskey, Capathia Jenkins, and Barbara Walsh (along with musical director Jeffrey Klitz, director Dan Foster, writer Sean Hartley, and John Pizzarelli on guitar). Weller was also on stage, reading passages from the book. Between taking turns at the mike to singing some of the “Girls” greatest hits, each performer shared a story about how they discovered Simon, King and Mitchell’s music — Ann Hampton Callaway even got to co-write a song with Carole King. The group also came together on a few songs including a re-arrangement of “You’re So Vain” that deserves to be released as a single. While each woman put their own signature on the music, they also had stand-out songs that not only showcased their voices, but revealed their very core. Sometimes it was unexpected, like Jessica Molaskey’s rendition of “Raised on Robbery” with her husband, John Pizzarelli’s amazing accompaniment on guitar. Molaskey’s interpretation of the song was funny and a slower (but still jazzy) version of Mitchell’s original tune. It was a little piece of brilliance. (Jessica Molaskey, if you happen to read this, please record that song, ASAP). Sometimes the rendition took your breath away, like when Barbara Walsh sang the combined “Song to a Seagull/Both Sides, Now.” Walsh’s performance of the songs was sublime. And sometimes it just knocked your socks off: like Capathia Jenkins version of “So Far Away,” which was one of those rare moments when you witness that what makes a song legendary is its ability to transcend the original artist/songwriter and truly belong to the performer. Similarly, Liz Callaway and Ann Hampton Callaway’s duet on “That’s the Way I Always Heard it Could Be” was divine. When you hear the interwoven voices of these sisters, there is no need for any accompaniment. Liz’s pure, strong soprano combined with Ann’s jazzy mezzo/alto was like witnessing the interplay of a violin and a cello. They share an instinct for song and sound that is without peer. Though the vocal talent of the performers was evident, it was the music, the shared history that each performer found within her song, that made the evening magical. While Joni Mitchell, Carly Simon and Carole King are three female music legends, they are also the poets who recorded the history of women in lyrics and measures, rhythms and records. They helped define who we are, who we raise and who we continue to become. But at the same time, they are still girls like us.